Stepping into French Feathers is like waking up to a dream. There are velvet pillows and cashmere throws in hues of rose and dusty blue; twinkling glassware and handmade dinnerware on almost every gleaming surface. 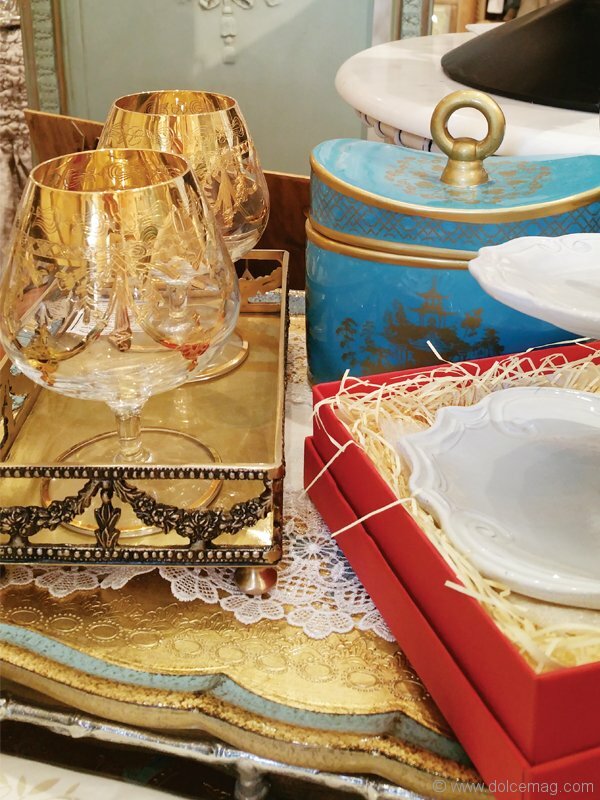 There are French milled soaps and lace crochet linens, and gilded mirrors adorning the wall. 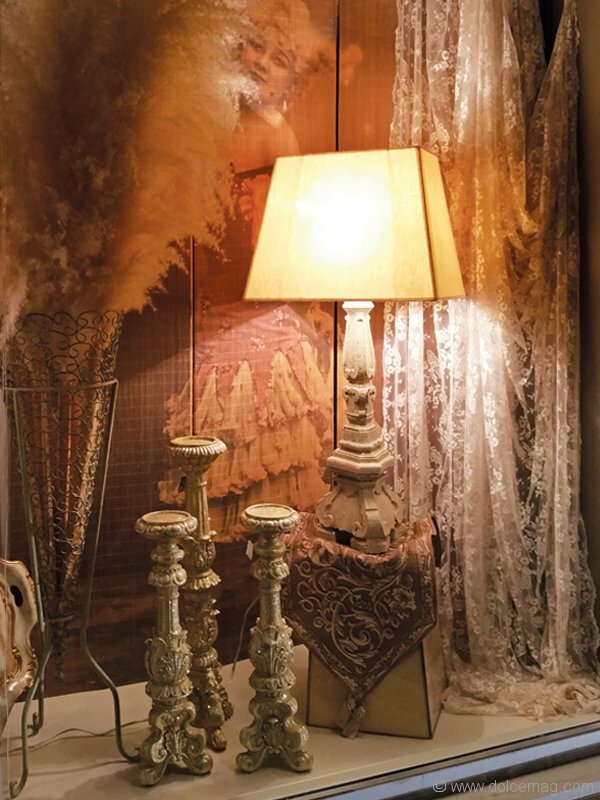 A haven of European treasures, French Feathers is a testament to owner Adriana’s trained eye as a professional photographer and her innate gift for home styling. 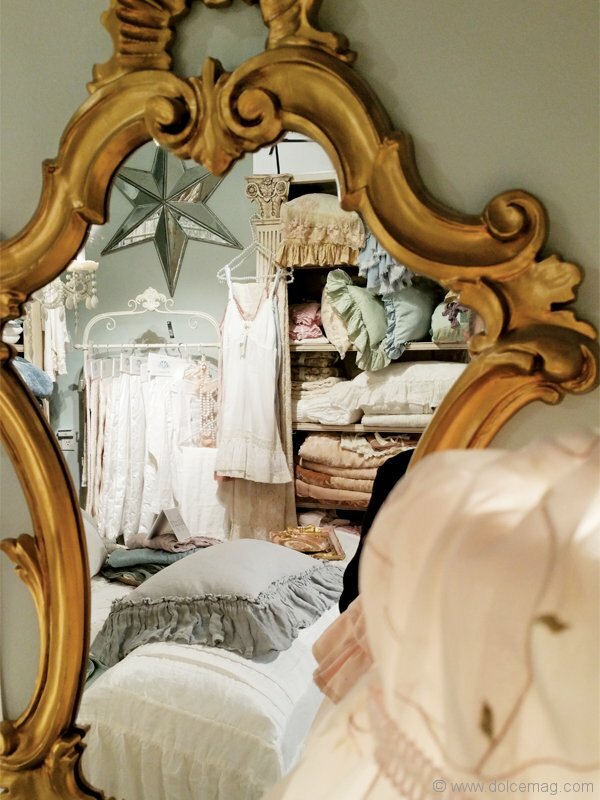 “A love for beautiful things is something from within,” says the impeccably dressed interior decorator, guiding me through her wonderland of heavenly bedding collections and heirloom pieces for table and home. Picking up a buttercream mug made with black clay from Vietri Dinnerware, French Feathers’ other coveted brand exudes rare design, with Italian master artisans handcrafting each piece individually over the span of four days. “We’re inspired by the quality that Europe still offers,” says Adriana of Vietri’s antique, hand-painted techniques and rich glazes. From drink and dinnerware to detailed cutlery, Vietri’s heirloom quality serves those looking to acquire a dining collection they can enjoy every day yet still pass down to other generations. 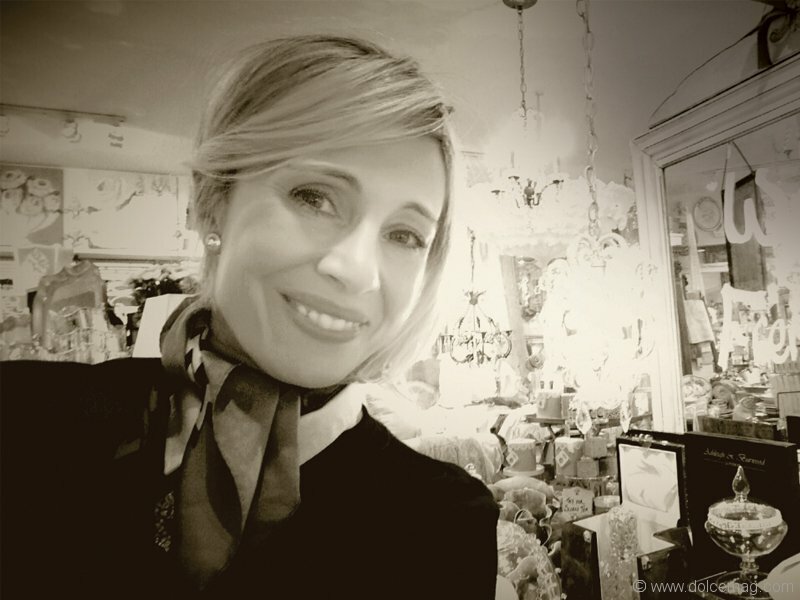 Adriana’s deep insight into quality has caught on with French Feathers’ loyal clientele, which varies in age and spans across the Greater Toronto Area. Due to customer demand, the boutique has now evolved to include home consultations. Whether it’s adding finishing touches or transforming a home’s esthete with a decorative refresh, Adriana brings a breath of fresh air to every project she touches.